Well-designed, coaxial-driver speakers exhibit clean, phase coherent sonic projection which enhances accuracy. Based on my extensive use of the PreSonus Sceptre S8 speakers the company has done a great job synergizing the coaxial drivers and onboard DSP, digital amplification. In fact, the sound is well above the normal DSP/powered speaker I normally audition for studio use. 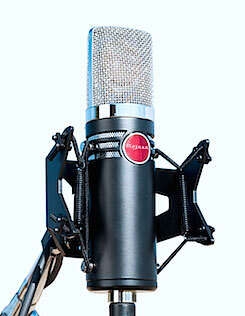 The Sceptre series comes in two models: the S6 and the S8 tested here. Both models feature a horn-loaded, compression tweeter mounted in the center of the woofer: a 6-inch bass driver for the S6 and an 8-inch for the S8. For this review, I will focus on the S8, which is priced at $1,500 per pair. Both models are based on CoActualTM Speaker Coherence Alignment and TQTM Temporal Equalization Technology from Fulcrum Acoustic. Complementing the coaxial drivers is a 32-bit, floating-point DSP engine that optimizes the drivers’ performance and 180W of digital amplification (90 watts for each driver). The Sceptre series was designed by Dave Gunness, vice president of R and D at Fulcrum Acoustics, and the company’s lead product designer. PreSonus also added just enough features/adjustments to make it fit into most placement scenarios. Although I have seen DSP-based speakers that are overly featured and complex, the Sceptre S8 is rather straight forward and easy to set up. The Sceptre features two balanced analog input choices: XLR and 1⁄4-inch TRS; an Input-level control with 10 dB of gain above unity; a high-frequency driver adjustment (linear, +1 dB, -1.5 dB, -4 dB) above 2 kHz; high-pass filter switch (linear, 60 Hz, 80 Hz, 100 Hz) with -24 dB/octave slope; and acoustic space switch (linear, -1.5 dB, -3 dB, -6 dB) to compensate for bass boost when the speaker is placed near a wall. The speakers are fairly compact at 11.4-inches wide (290 mm) x 11.8-inches front to back (300 mm) and 15.75-inches tall (400 mm). Weight for the S8 is just over 24 pounds. Though the cabinet is not as solid feeling as an audiophile speaker, or some of the other high-end powered studio speakers I have used, the Scepter sonic character is not compromised by the cabinet construction. The adequately braced cabinet keeps the mid bass and midrange frequencies audibly clean. Spec-wise, the S8 is factory rated from 46 Hz to 20 kHz, plus or minus 3 dB (With an RTA, I measured 48 Hz with the speaker free standing in the middle of the room). Peak SPL is listed at 116 dB. Crossover frequency is centered at 2.4 kHz. 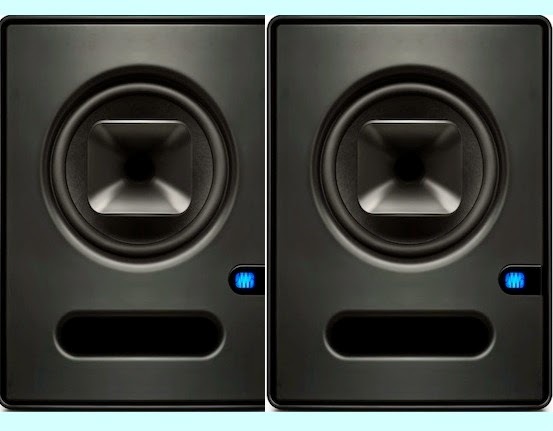 The bass extension of the 8-inch driver is enhanced by the slot port mounted on the front of the cabinet. Front ports, in my opinion, have fewer side effects than rear ports, and allow closer-to-wall placement. 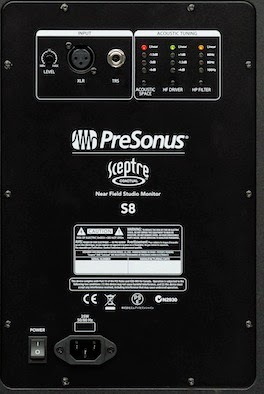 I was impressed with the PreSonus Scepter S8. The phase-coherent, coaxial design, coupled with a good Class-D amp and DSP-processing/digital crossover, this speaker conveys an audiophile accuracy and good bass extension to reasonably loud levels. The Sceptre is designed to be used in pro audio/home recording setups, and with the onboard controls, you can place them almost anywhere in a small-to-medium room. Placement options include console/mixer meter bridge, computer workstation desk, as well as stands. You can set the S8s up in a 2.0 — or a 5.1 arrangement on stands, away from boundaries in a listening room. 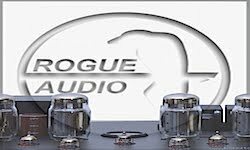 I used the S8s in all the above scenarios (except 5.1), and, additionally, as a powered audiophile monitor in my hi-end audiophile room, where they demonstrated a high-end, sonic character normally not heard in a budget-priced powered loudspeakers. I first set up the Sceptre as near-field monitors next to my Oram 16T analog console/Macbook Pro workstation desk setup. I placed the speakers on each side of the console using Raxxcess speaker stands, which put them right at ear height. I angled the speakers in slightly for maximum frontal dispersion. I connected a set of the console’s XLR monitor outputs to the S8’s inputs, and did a six-hour break-in, playing hi-res music from the Macbook Pro/Benchmark DAC2-D connected to the console's inputs. I used Wireworld Gold Eclipse7 balanced XLR cables ($700 per pair) for the entire system, and I plugged all components into an Essential Sound Products Essence II power strip. The first audible attribute I noticed on casual play of 24/192 music, was how accurate the Sceptres are. 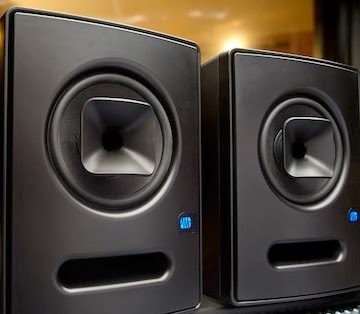 The speakers have an audiophile-class midrange and top-end with a focused, tight bottom end in the 50-Hz to 100 Hz range. Most powered pro speakers that sound this good are well above the $1,000 per speaker. I am impressed. My favorite recording tasks are acoustic and jazz guitar. During playback of a new Taylor 810 dreadnaught recording, recorded with two Audix SCA-25A microphones via the the Oram’s mic pre-to-direct-output into a TASCAM DA-3000 recorder in 24/192, the playback through the S8’s was quite revealing. The guitar’s stereo width and depth via the pick attack was fantastic. 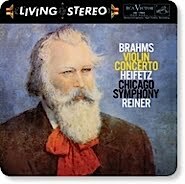 The ultra nuance of room reverb and string “pluck” harmonics came through loud and clear with no aberrations. The S8‘s high frequency range showcased the Audix mics’ slight presence boost without sounding shrill and edgy. The S8 amp’s were just as impressive. I am normally not a Class-D powered speaker kind of guy, but as long as you keep the level in the low 90 dBs on peaks, the smooth factor sticks around. Only when I played really loud pop music, did I notice the Sceptre amp character start to harden. On a Yamaha U1 upright piano recording using a pair of Audio-Technica AT-4041B and a True P2 microphone preamp and the DA-3000 as the recorder. Again, the Sceptre’s playback sonic scenario was faithful to the instrument. No etched treble bump in the high register keys, good imaging and clean bass, and like my hi-fi passive speaker/amp combo playback, much of the room reverb/reflections could clearly be heard. These monitors are that good. In the open room listening scenario, with speakers about eight feet from my listening position, the S8s never labored to produce ample sound level in this medium -size listening room. The S8’s coaxial design and crossover slope also contributes to excellent vocal reproduction — with minimal sibilance and well-balanced tone for male or female voice. I even hooked the PreSonus S8 pair into my high-end audiophile system. The audio came from a Pass Labs XP-10 MOSFET line preamplifier and lots of hi-resolution music playback through a Macbook Pro, equipped with Audirvana software player, linked to an Oppo HA-1 audiophile DAC. I played a range of music from 24/96 all the way to 24/384 and double speed DSD. The S8 relaysed the cymbals in generous portions, even compared to my expensive reference system. And unlike many powered pro speakers that use metal-dome high-end drivers, there is no exaggerated edginess to the S8’s top-end. As with my home recording monitoring sessions, The S8s filled the room with accurate, detailed sound and good bass. That port does a good job of enhancing low bass performance in the 50-Hz range — without loading the mid-bass. Best of all, the small treble sounds, room reverb tails, acoustic guitar harmonics, etc., could clearly be heard through the S8s. No, it does not project the ultimate space of my MartinLogan electrostatics, but then again, the Sceptres are not $10,000. For $1,500, I could hear plenty from these speakers. One of my subjective listening benchmarks for a speaker, is the degree of dimensionality presented when playing the Tom Jung-recorded Warren Bernhard — So Real SACD, produced in 2000. On the title cut, the cymbal sound is one of the most accurate capture of that instrument I have ever heard; there is an enveloping presentation of the recording’s drum cymbal when listening from a properly designed speaker. I can say with confidence, that the S8 relayed the cymbals in generous portions, even compared to my expensive reference system. And unlike many powered pro speakers that use metal-dome high-end drivers, there is no exaggerated edginess to the S8’s top-end. Although I did not have extra S8’s for multichannel listening, I would recommend them for 5.1, 7.1, 9.1 or 11.1 monitor duties when mixing multi-channel music or movie soundtracks. You just need a sub or two for lower-octave bass. And the speaker’s compact size makes them that much easier to place. 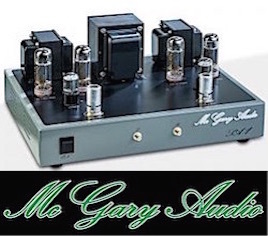 As I have said many times, I am, normally, not a powered monitor fan, I like choosing my own amps and speakers, but there are advantages to electronic crossovers and amps incorporated into one package, if done correctly. However, the powered speakers I have raved about usually are on the pricier side of the equation. But I was impressed with the PreSonus Scepter S8. The phase-coherent, coaxial design, coupled with a good class D amp and DSP-processing/digital crossover, this speaker conveys an audiophile accuracy and good bass extension to reasonably loud levels. The only niggle in the review is that I heard a bit of raggedness at the upper power limit of the amp when playing 95 dB+ levels. 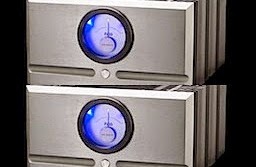 Of course, I am comparing the S8s to my reference speakers with multi-thousand dollar Class A or A/B audiophile amps. At reasonable levels though, the 90-watt digital amps are pretty darn clean. For recording studio tracking, mixing, editing, even mastering, the PreSonus Scepter S8 is an recommended powered speaker. Its quality also should carry over to 5.1-channel audio monitoring as well. 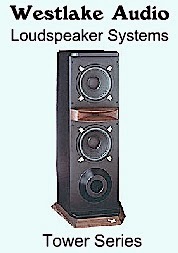 A grand per speaker is more than a $300 class powered speaker that pervades the market these days, but the price tag is not unreasonable for a powered speaker this good. Consequently, we have awarded it our Everything Audio Network Stellar Sound Award. John Gatski is publisher/owner of the Everything Audio Network. Articles on this site are the copyright of the Everything Audio Network©. Any unauthorized use, via print or Internet, without written permission is prohibited. I owned a pair for a year and was similarly impressed. As a mixing tool, they are stellar regardless of price. I could hear details in my mixes that were eluding me on my K+H 0300s and the translation to other systems was outstanding. The only reason I just sold them was to go further upmarket to an unknown brand and model which bears many similarities to the S8 - FIR DSP ("Firtech") coaxial mid highs with a small horn, all controlled by good DSP. These are the KS Digital D-808s, made in Germany.